Reference: Green, D.I., McCallum, D., and Wood, M. (1997) Supergene Cu, Pb, Zn and Ag Minerals from Force Crag Mine, Coledale, Cumbria. UK Journal of Mines & Minerals 18: 10-14.; Green, D.I., Bridges, T.F., Rumsey, M.S., Leppington, C.M., and Tindle, A.G. (2008) A review of the mineralogy of the Roughton Gill Mines, Caldbeck Fells, Cumbria: Part 2 The Roughton Gill South Vein on Balliway Rigg. Journal of The Russell Society, vol. 11, 3-28. Reference: [UKJMM 18:9]; Green, D.I., McCallum, D. & Wood, M. (1997) Cu, Pb, Zn and Ag Minerals from Force Crag Mine, Coledale, Cumbria. UK Journal of Mines & Minerals 18: 10-14. Reference: Green, D.I., McCallum, D. & Wood, M. (1997) Cu, Pb, Zn and Ag Minerals from Force Crag Mine, Coledale, Cumbria. UK Journal of Mines & Minerals 18: 10-14.; Young, B. & Cooper, A.H. (1988) The Geology and Mineralisation of Force Crag Mine, Cumbria. The Cumberland Geological Society, Proceedings: 5(1): 5-11. Reference: Hall, T.M. (1868): The Mineralogist's Directory. Edward Stanford (London), 168 pp. ; Palache, C., Berman, H., & Frondel, C. (1951), The System of Mineralogy of James Dwight Dana and Edward Salisbury Dana, Yale University 1837-1892, Volume II: 1088; Green, D.I., McCallum, D. & Wood, M. (1997) Cu, Pb, Zn and Ag Minerals from Force Crag Mine, Coledale, Cumbria. UK Journal of Mines & Minerals 18: 10-14.; Young, B. 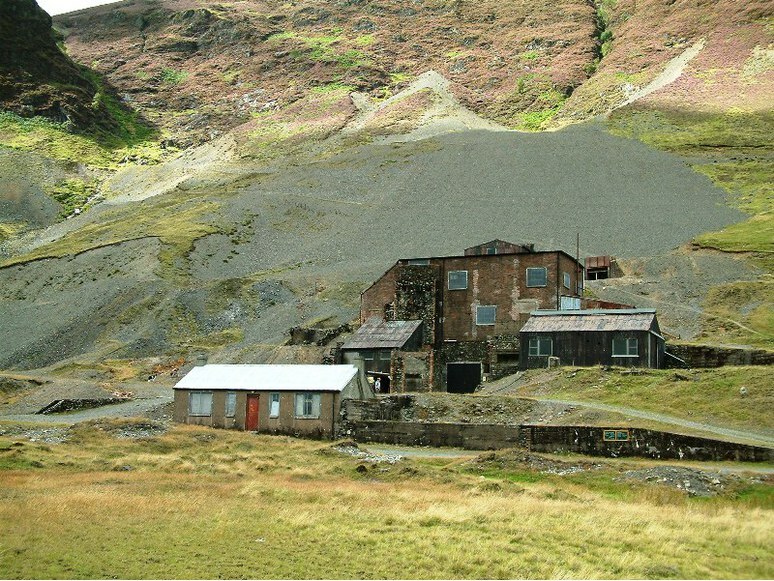 & Cooper, A.H. (1988) The Geology and Mineralisation of Force Crag Mine, Cumbria. The Cumberland Geological Society, Proceedings: 5(1): 5-11. Reference: Young, B. 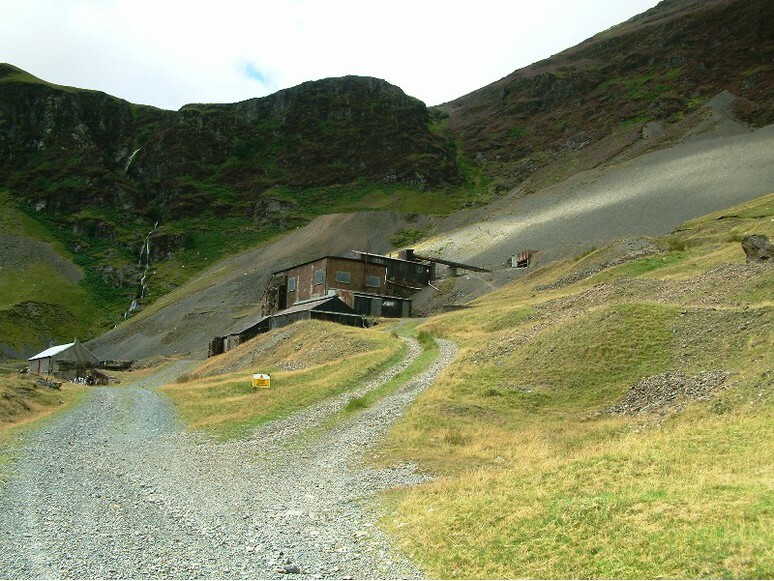 & Cooper, A.H. (1988) The Geology and Mineralisation of Force Crag Mine, Cumbria. The Cumberland Geological Society, Proceedings: 5(1): 5-11. Reference: Hall, T.M. (1868) The Mineralogist's Directory. Edward Stanford (London), 168 pp. ; Kingsbury, A.W.G. and Hartley, J. (1957) New occurrences of arseniosiderite. 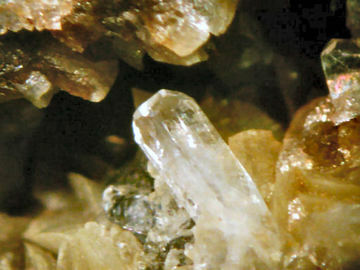 Mineralogical Magazine, vol. 31, n° 237, 499-500.; Green, D.I., McCallum, D. & Wood, M. (1997) Cu, Pb, Zn and Ag Minerals from Force Crag Mine, Coledale, Cumbria. UK Journal of Mines & Minerals 18: 10-14. 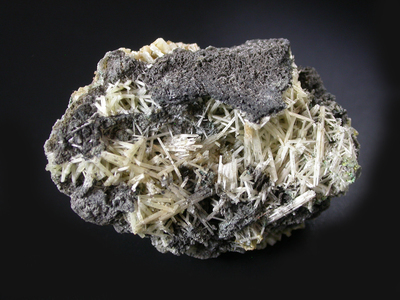 Reference: Green, D.I., McCallum, D. & Wood, M. (1997) Cu, Pb, Zn and Ag Minerals from Force Crag Mine, Coledale, Cumbria. UK Journal of Mines & Minerals 18: 10-14. Reference: Hall, T.M. (1868): The Mineralogist's Directory. Edward Stanford (London), 168 pp. 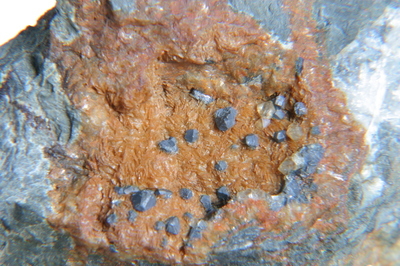 ; Green, D.I., McCallum, D. & Wood, M. (1997) Cu, Pb, Zn and Ag Minerals from Force Crag Mine, Coledale, Cumbria. UK Journal of Mines & Minerals 18: 10-14.; Young, B. 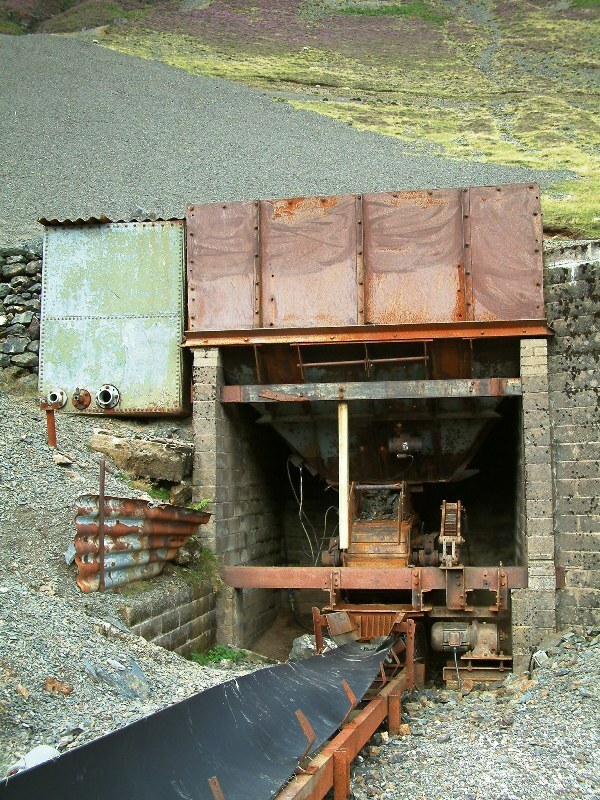 & Cooper, A.H. (1988) The Geology and Mineralisation of Force Crag Mine, Cumbria. The Cumberland Geological Society, Proceedings: 5(1): 5-11. 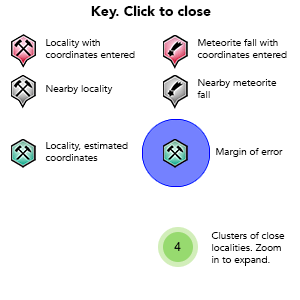 Description: Moulding et al. 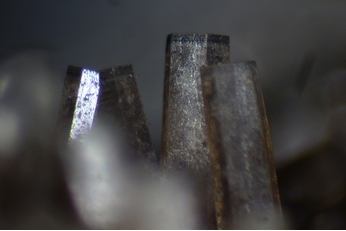 (2008): "Robert Philips Greg described "minute but measurable crystals, on macled crystals of black carbonate of lead from Force Craig lead mine near Keswick", and provided a chemical analysis and a crystal drawing to support his identification. Sir Arthur Russell (1944) cast doubt on the record following extensive research on the Allan-Greg collection, as it was not substantiated by either a specimen or a catalogue entry. His views are echoed by more recent workers (e.g. Cooper and Stanley, 1990)." Reference: Greg, R.P. and Lettsom, W.G. (1858) Manual of the mineralogy of Great Britain and Ireland. John Van Voorst, London, ix, 483 pp. [facsimile reprint, with addenda, by Lapidary Publications, Broadstairs, 1977]. ; Hall, T.M. (1868) The Mineralogist's Directory: or a guide to the principal mineral localities in the United Kingdom and Ireland. Edward Stanford (London), 168 pp. ; Russell, A (1944) Notes on some minerals either new or rare to Britain. Mineralogical Magazine, 27(184), 1-10.; Kingsbury, A.W.G. and Hartley, J. (MS) (1951) New occurrences of rare minerals in the northern part of the English Lake District: part 1.; Palache, C., Berman, H., and Frondel, C. (1951) The System of Mineralogy of James Dwight Dana and Edward Salisbury Dana, Yale University 1837-1892, Volume II: 1088.; Cooper, M.P. and Stanley, C.J. (1990) Minerals of the English Lake District: Caldbeck Fells. Natural History Museum Publications, London, 160 pp. ; Moulding, D., Hooper, J., and Green, D.I. 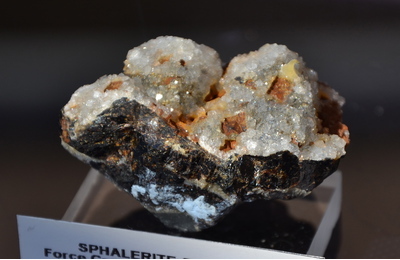 (2008) Stolzite from Penberthy Croft Mine, St Hilary, Cornwall. Journal of the Russell Society, 11, 88-90. Palache, C., Berman, H., and Frondel, C. (1951) The System of Mineralogy of James Dwight Dana and Edward Salisbury Dana, Yale University 1837-1892, Volume II: 1088. Kingsbury, A.W.G. and Hartley, J. 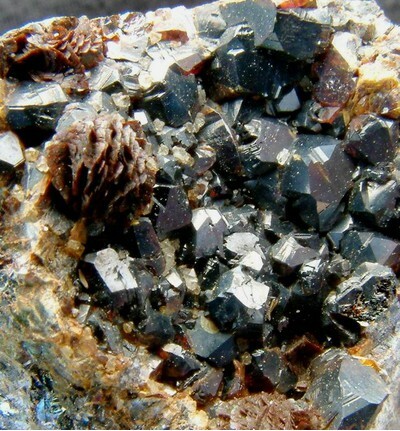 (1957) New occurrences of arseniosiderite. 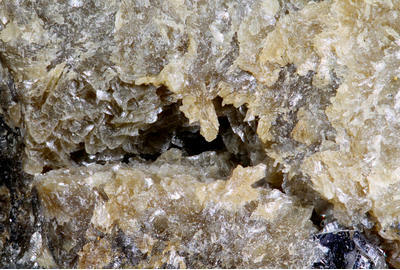 Mineralogical Magazine, 31(237), 499-500 (referring to erythrite from Force Crag). Freeman, F.J.B. (1982) The geology and geochemistry of Force Crag Mine, Cumbria. Unpublished MSc thesis, Camborne School of Mines. Young, B. and Cooper, A.H. (1988) The Geology and Mineralisation of Force Crag Mine, Cumbria. Proceedings of the Cumberland Geological Society, 5(1), 5-11. Green, D.I., McCallum, D., and Wood, M. (1997) Supergene Cu, Pb, Zn and Ag Minerals from Force Crag Mine, Coledale, Cumbria. UK Journal of Mines & Minerals, 18, 10-14.